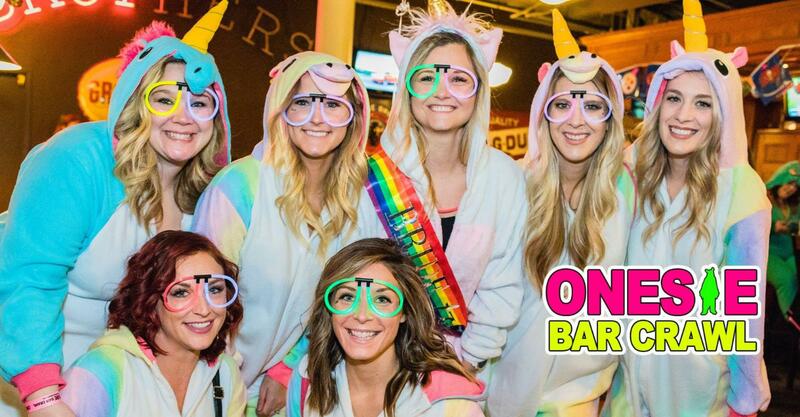 Dress up in your favorite onesie and be a part of The Official Onesie Bar Crawl, coming to Orlando January 19th! ??? The Official Onesie Bar Crawl Orlando ??? ?Be a part of the Best Bar Crawl of the year!
? * TICKET INFO * ? All tickets receive equal access to the event and are subject to availability! The earlier you buy the more you save! Buy NOW!
? * FREE TICKETS * ? Earn a Free Ticket by inviting your Facebook friends to the event. Message us at Crawl With Us for details. ????? * GROUP RATES * ????? Planning on bringing the whole squad? Purchase 10 tickets and send us a message with your Order number; We’ll send you 2 tickets for free! ?? * DON’T DRINK AND DRIVE * ✅?